Slim Jesus is the stage name which the American born rapper, Easton, goes by. His rising popularity in the rap genre called “Drill Rap,” is one which is quite unexpected considering the fact that he wasn’t born in Chicago more so he is a white guy. All these should logically be limiting factors in his career quest, however, he is gaining grounds. Slim claims he draws his inspiration mainly from another renowned white rapper “Eminem” and he also has facial resemblance with the legendary rapper hence the frequent comparisons. For fans and enthusiast alike, find out more details about the controversial rapper below. artworks. For his education, Slim Jesus attended Hamilton School in the City of Ohio. The Hamilton school was later shut down by ex-President, George Bush, after series of disputes and alterations. Slim grew up in a ghetto community surrounded by gang members and he was influenced by such a life right from childhood. This influence is thus evidenced in his style of rap called “Drill Rap” where he is seen with firearms and other lethal weapons. Though he claims they are just props for videos nevertheless, he promotes a life of violence. Given the rise of gun shootings and murders in the Chicago, his artistic branding seems to promote such a lifestyle. Philips released his very first single on the 15th of July 2015. He named it “Drill Time” and it was featured on Soundcloud. The single received a mild success as it achieved over 4.48 million plays within a period of five months. After one month, on the 18th of August, Slim released a follow-up video for the song on YouTube. The video features a group of young boys wielding prop firearms as well as bundles of dollar bills. Interestingly, this video found a liking with many young fans and this was evidenced by the 19 million views as well as the 68,000 comments the video garnered in a short space of four months. Another controversial music video of his “Buck Buck” was released on the 17th of September on his YouTube channel. The video shows Slim making a “Purple Drank” while sitting on a car. However, a more subtle video showing behind the scenes footage of him in Cincinnati as well as an “ask me anything” hip-hop heads video was posted on the 16th of October 2015. Most rappers are notorious for flaunting their wealth in forms of luxury cars, cash or bling be it on social platforms or in their music videos and Slim Jesus is no exception. However, it might be quite underwhelming to note know that the rapper is worth just $300,000. Though this may seem like a let down compared to the high-end perception fans have come to have about his financial status, nevertheless, $300,000 is not a bad figure concerning the rapper’s age. Not many rappers or people his age have such net worth to boast of, therefore it is safe to say that he has done well for himself. If he keeps at it, his net worth is poised to increase exponentially in the coming years. Is Slim Jesus Dead Or Alive? The Drill rapper was reported to have been shot and crucified in relation to his name. However, this was confirmed to be a rumor and probably done deliberately by Slim Jesus and his publicist to generate buzz around him, increase his popularity and of course aid in the promotion of his upcoming single. The beginning of his career started after he uploaded a three-minute long music video of his on Youtube. The term “Drill Time” simply connotes shooting someone, killing someone or hurting someone. 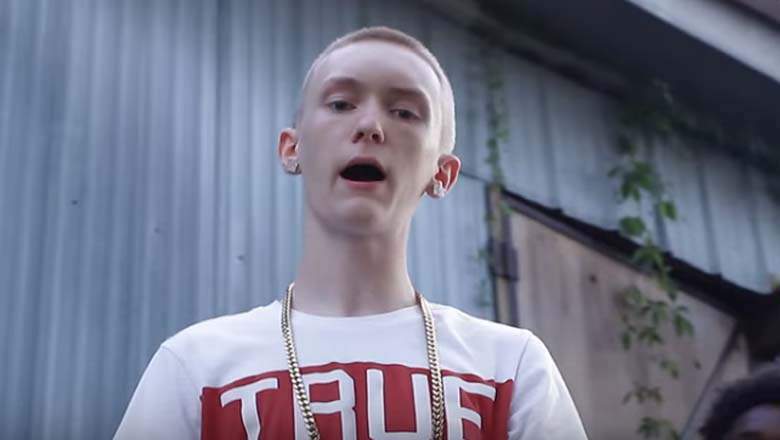 Slim Jesus is a rap artist who is influenced heavily by the happenings in Chicago. Though he did not grow up in Chicago, his association with mostly black kids from the Bronx as well as listening to “Drill Music” made by other rappers such as Chief Keef, Lil Bibby etc., formed his own style in the rap genre. In an interview granted by Slim Jesus, he explained that the image he portrays in his songs are just for fun, stating that he doesn’t live the life of violence. He further stated that he has never been shot at, robbed or jailed before. This revelation led many of his fans to unfollow him calling the rapper a “fake thug wannabe”.